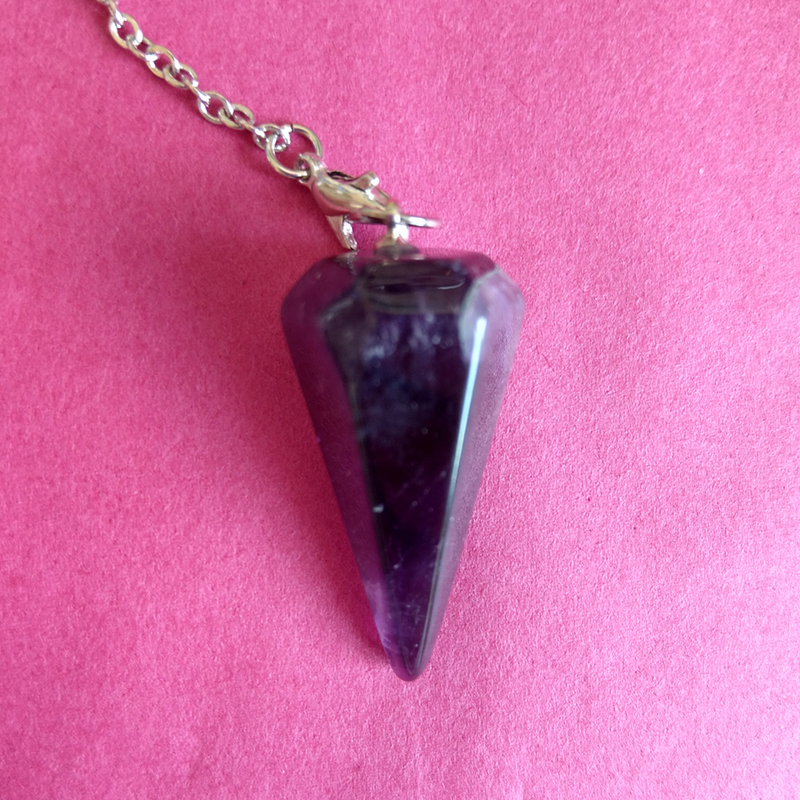 This is a beautiful amethyst pendulum which has been charged with healing energy. 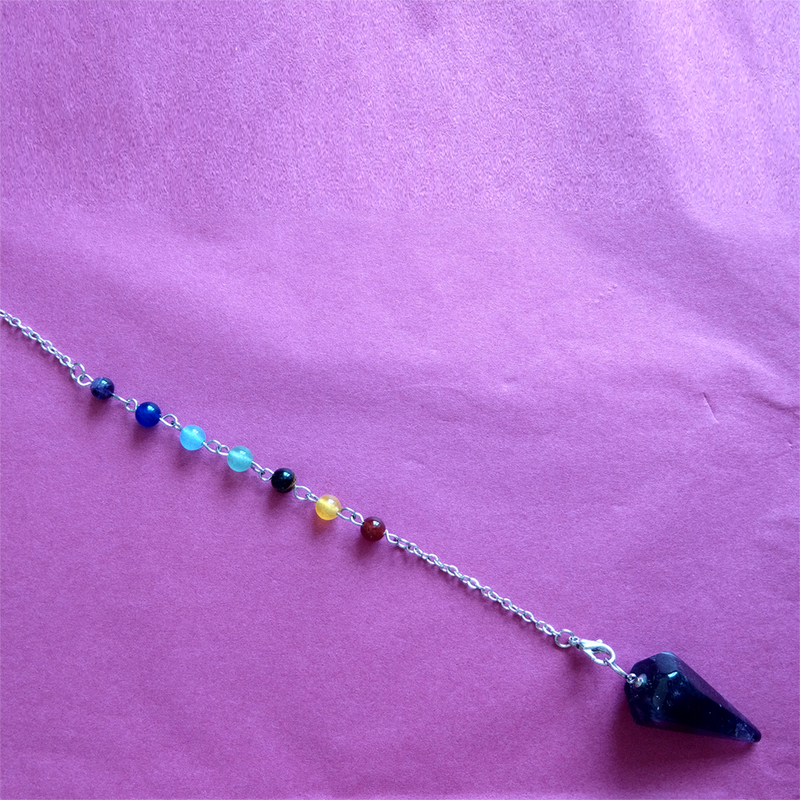 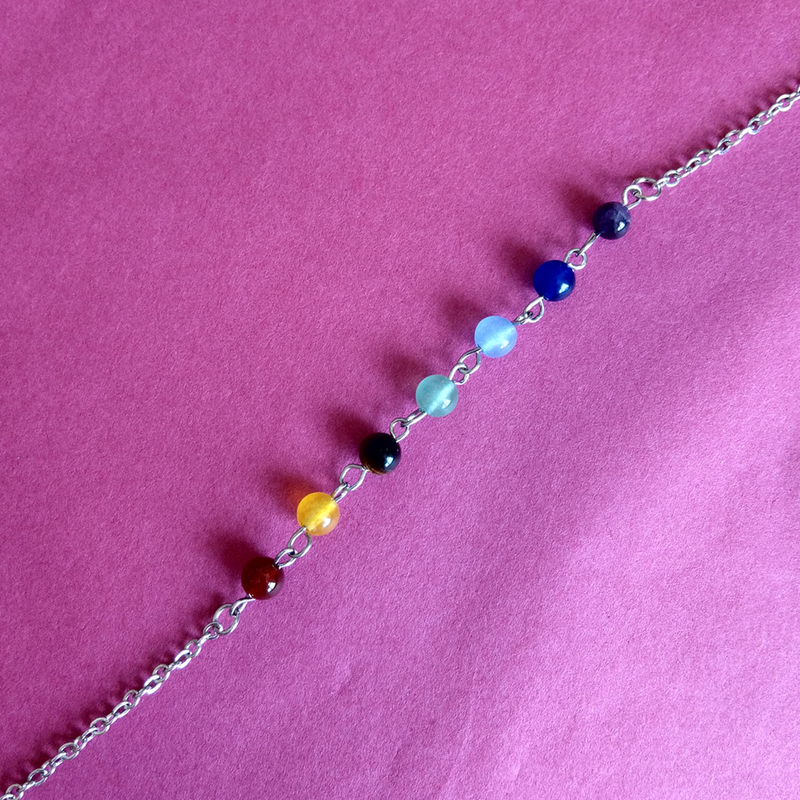 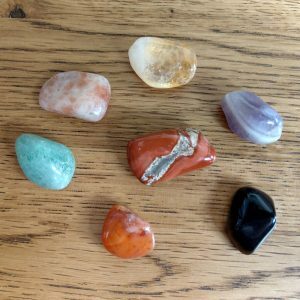 You will find this an ideal pendulum to establish the health of the chakras. 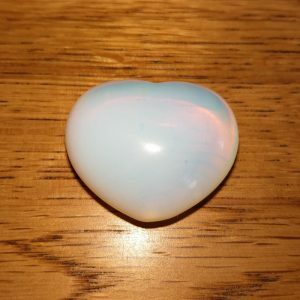 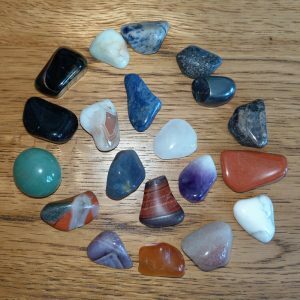 It can also be used during meditation or to search for lost objects. 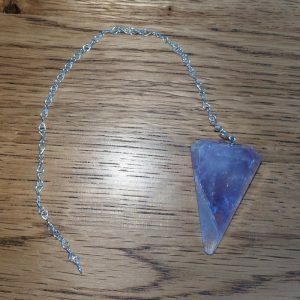 An easy pendulum to connect with and one which can help you obtain the answers to your questions.